The cold and flu season is in full swing, stock up on essentials for your home and you’ll save down the road. 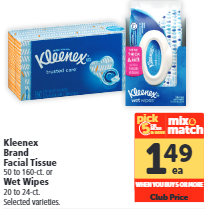 Through February 12th you can pick up boxes of Kleenex Facial Tissue &/or Wet Wipes on sale for $1.49 when you participate in the Pick 5 (or More) & Save sale. For the lowest price, use either the $0.50/2 printable or insert coupon from the February 3rd SmartSource or the $0.25/1 coupon from the same insert. 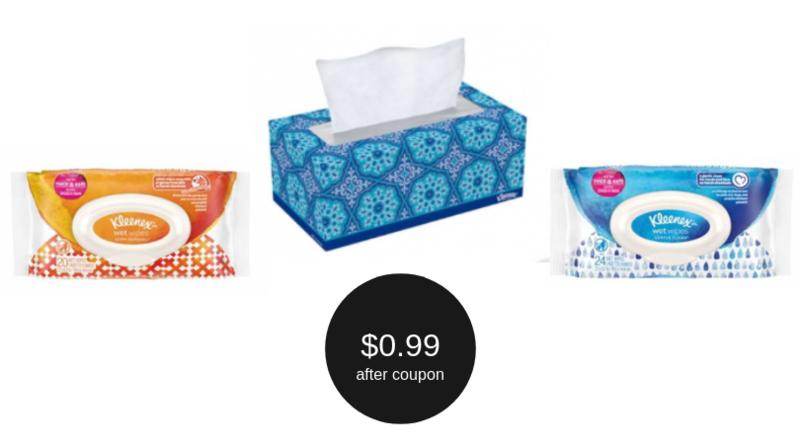 After the coupons double to either $1 or $0.50 (depending on the coupon used), you’ll pay $0.99.